This lovely detached country house, with numerous outbuildings and a large garden, is only . . . This absolutely delightful, spacious, detached, cottage is an ideal holiday base. It has two . . . This semi-detached 3 bedroom property has been rented out successfully for a number of years . . . 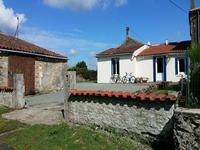 Partially renovated semi-detached hamlet property in rolling Vendée countryside. This house . . .
Charming semi- detached 3 bedroom hamlet property with south facing garden and many character features. Superb opportunity to purchase four bed three bath property at a great price. This house . 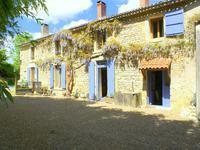 . .
Renovated French Farmhouse in heart of Vendée countryside with land, stabling and small vineyard. This four bed country house, situated approximately 5km from la Caillère St Hilaire, in the . . .
he south-facing house is situated on a corner plot on the outskirts of the dynamic village of . . .